A king is being held in the tower, another claims the throne, and a trusted life-long family confidant feels forsaken. 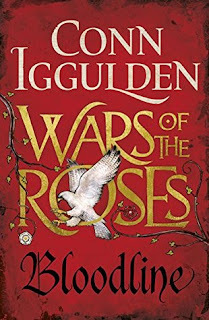 Set amidst the bloodiest battle fought on English soil--the Battle of Towton, Conn Iggulden's novel, Wars of the Roses: Bloodline, graphically captures not only the barbarous battle that claimed 28,000 lives, but also the contrast of honor versus indignity, trust versus betrayal, and love versus hate. I jumped into this series with book #3, Bloodline, and was worried I would be lost. It took a few chapters to get the characters sorted, and then I truly enjoyed this book. I am a fan of historical fiction, and Bloodline was excellent. The question of any character being fictional never crossed my mind because each was written extraordinarily well. Iggulden also painted the landscape and lifestyle so that I felt I was watching a movie in my mind. He skillfully conveyed the harshness and brutality of the time. I felt a strong sense of what motivated the protagonists, why they felt threatened, and what was at stake for each. This narrative of the Lancasters, Yorks and Nevilles is fascinating, not only because of its historical value, but also because this is a page turner. This has become one of my favorite historical fiction pieces, and I can't wait to read books #1 and #2! 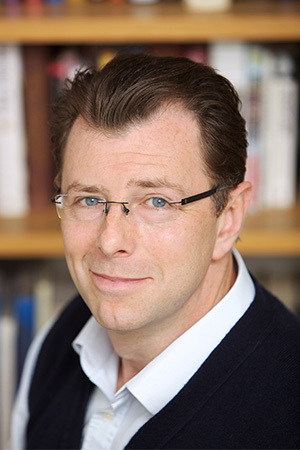 Conn Iggulden is the author of two previous series on Julius Caesar and on the Mongol Khans of Central Asia and also the co-author of The Dangerous Book for Boys. Conn lives in Hertfordshire with his wife and children. From the author's website: I was born in the normal way in 1971, and vaguely remember half-pennies and sixpences. I have written for as long as I can remember: poetry, short stories and novels. It’s what I always wanted to do and read English at London University with writing in mind. I taught English for seven years and was Head of English at St. Gregory’s RC High School in London by the end of that period. I have enormous respect for those who still labour at the chalk-face. In truth, I can’t find it in me to miss the grind of paperwork and initiatives. I do miss the camaraderie of the smokers’ room, as well as the lessons where their faces lit up as they understood what I was wittering on about. 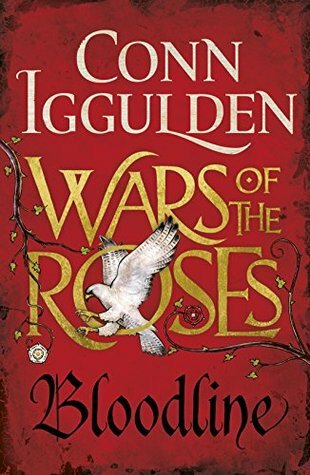 This review was written based on a copy of Wars of the Roses: Bloodline that I received from the publisher in exchange for an honest review. This post includes Amazon Affiliate links. If you purchase something using my link, I will receive a very small commission but your price does not change.